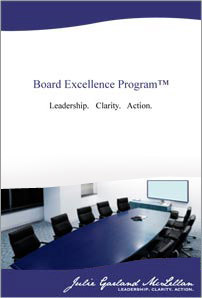 Boards operate under strict confidentiality and in a way that is very different to executive teams. Directors wishing to improve their effectiveness in the boardroom need access to specialist and confidential advice from a mentor who has experience of working at that level and in that environment. This program provides a safe forum for self directed investigation of the routes to performance improvement and the enhancement of the directors abilities. It allows directors to access current ideas about best practice and discuss personal and organisational issues with a specialist mentor.